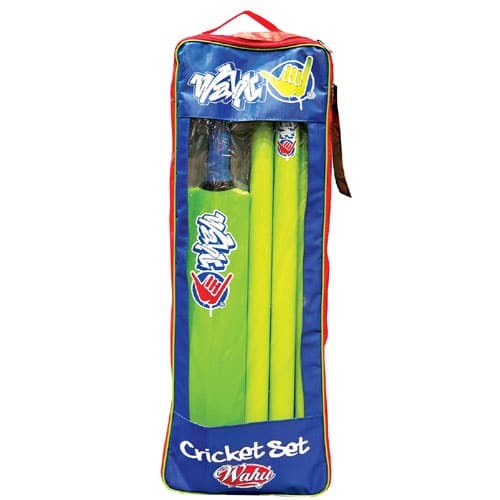 Belt some sixes with the Wahu Cricket Set at the beach, park or in your backyard! 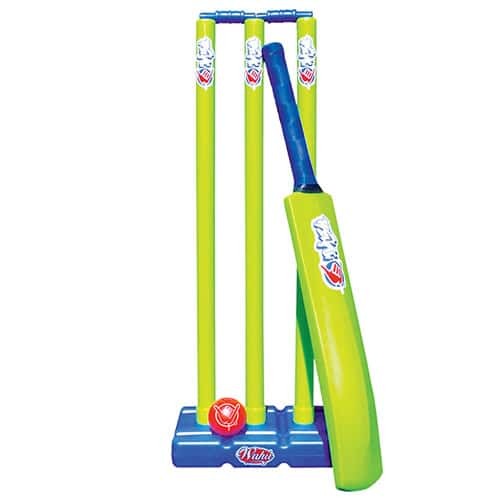 You'll get a quality, durable PVC cricket ball, a light weight PVC cricket bat with rubber handle, three stumps and a water-fillable base for stump stability. The Wahu Cricket Set comes in sporty beach colours and fits neatly in the carry bag provided. For a cool game of splash cricket play it in the shallows with the Wahu Water Bouncer.